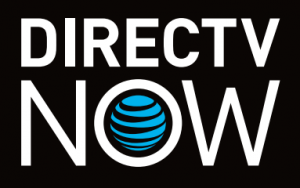 “Live A Little” Package Sign up for DIRECTV NOW and start streaming today! NO annual contract. NO cable or satellite hardware. TV you can take anywhere.. The best entertainment on television starts with DIRECTV. At home or on the go, on your TV, laptop, smartphone or tablet device, DIRECTV satellite TV brings you the biggest sports match-ups, the best family-friendly programming, and the latest Hollywood hits and the TV shows everyone is talking about. And with access to thousands of titles On Demand at home or on the go, DIRECTV gives you more of what you want – everywhere, every day. Order the #1 satellite TV service in the country – and get the best channels for the best price. Get DIRECTV from your local provider, YK Communications. We can give you the same great prices, but with the personal service and technical quality you expect. Contact us for additional information on DIRECTV services.